PANGEA SPEED: Pizzzzzzzzaaaaaaaa and motorcycles. 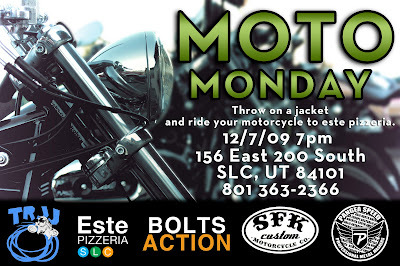 Next monday is going to be the first of our monthly moto pizza night over at este pizzeria. pretty simple ride your bike over to este on monday night hang out eat pizza and check out bikes. actualy ride your bike too cause its not that cold out. Also my masterfull brother cam has the new site all linked up and rollin smoothly. My buddy Dan Fletcher wrote the copy for the intro page and the manifesto, make sure to check it out, he did a really nice job. 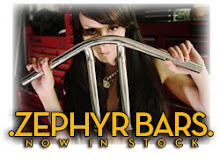 let me know what you guys think, what if anything would you like to see added to the new site. Sounds like a Jammin time. Lets get some Gluten Free Pizza cooking for your gluten intolerant motorbike friend haha. Were actually gonna start working on a gluten free pizza this week. Its harder than i originally thought. But we're gonna get there. well there you go brook your gonna have a new fav. customer! That would be so awesome if you made a gluten free pizza. I know where I would be eating every day. i bet my co worker jason would be way stoked on that too cause he cant eat that blasted gluten either.